NewBridge Services has welcomed four new members to the board of trustees — including a former client — who will fortify our dedicated volunteer leadership board. NewBridge is fortunate that they are willing to use their expertise to help the organization thrive. Anthony brings a fresh perspective and tremendous passion to the board. In 2016, he was 25 years old and the oldest graduate of NewBridge Jobs Plus, our alternative education and career program. Addicted to drugs as an adolescent, Anthony committed a robbery in 2012 to support his habit. He spent time in jail and at a state rehabilitation facility and turned his life around. 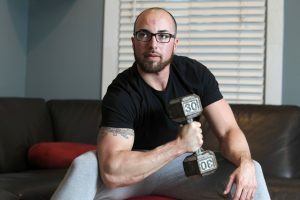 Anthony now runs a support group for people overcoming opioid addiction and plans to open a fitness center.“I want to help keep NewBridge strong for the younger generation, and keep it as current as possible while holding onto the beliefs instilled by its mission,” he said. Kathy is president and CFO at Levitt Properties in Sussex County. 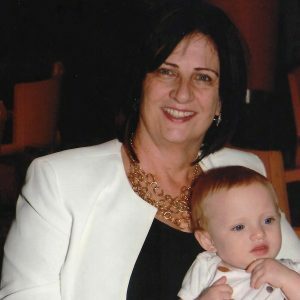 She has served on board for numerous community organizations, and is treasurer of the Mortimer and Mimi Levitt Foundation. Mother to three grown boys, Kathy is sensitive to the challenges facing young people. She also has empathy for seniors and those who support them, having cared for her aging parents. Kathy and her husband, Terry, split their time between Hamburg and Dunedin, Florida. James spent 40 years as a teacher and administrator and is currently the coordinator for New Jersey Leaders to Leaders, which pairs mentors with new New Jersey school administrators. 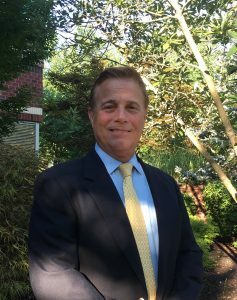 The lifelong Pompton Plains resident is president of the Pequannock Chamber of Commerce and a member of the Pequannock Township Coalition. He also serves on numerous statewide education panels. The married father of four is a musician, a pilot and an interpreter for the deaf. “I’ve known about NewBridge all my life. I’m very excited to make a difference and help take it to the next step,” he said. Isobel was a neighbor of the late Herbert Irwin, one of NewBridge’s founders. She recently retired as vice president of Mars International Inc., a manufacturing firm she co-founded. 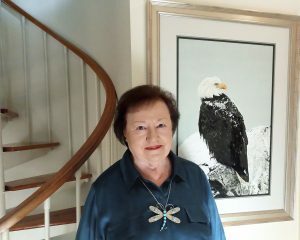 She is a talented nature photographer who had donated photos for auctions at NewBridge’s annual gala (and for other nonprofits’ fundraisers). Isobel plans to use her expertise in finance to help NewBridge. “This is an organization that is doing wonderful work, and I believe that a group of people with diverse talents can help make it stronger,” she said. She also hopes to recruit master gardeners to restore NewBridge’s Enrich garden on Newark Pompton Turnpike. Isobel still lives in the Pequannock Township home she bought with her late husband in 1958. She has a rescue dog, Bella, and volunteers with several organizations, including Chilton Medical Center and Literacy Volunteers of America.